Headquartered in Belgium with branches worldwide, Materialise combines one of the biggest groups of 3D software developers with one of the world’s largest 3D printing facilities. For 27 years, Materialise has pioneered innovations in 3D printing, pursuing a mission to improve product development and contribute to a better, healthier world. 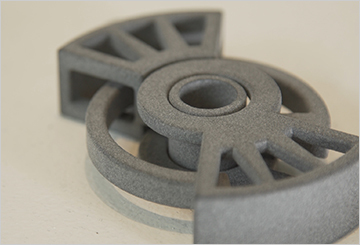 Materialise is blazing a trail from 3D prototyping to 3D end-part production. But the path is wrought with challenges. Download the case study to learn how HP Multi Jet Fusion technology helps Materialise produce repeatable part quality and customize parts in mass quantity.